Robert departed New York for London on December 11, 1843. On his previous outward voyage in August, the Toronto faced strong westerly gales that caused them to beat in the English Channel for fifteen days, delaying their arrival in London, according to crew member Charles P. Low (1824–1913). 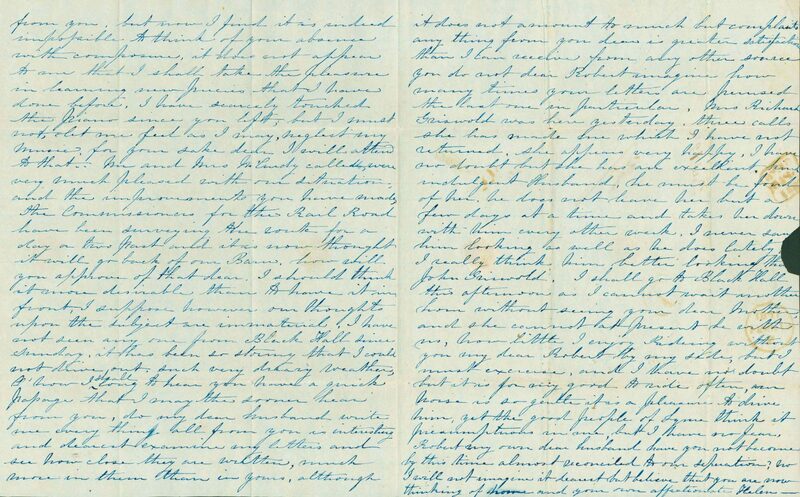 Ever conscious of the weeks it would take her letters to reach Robert, Helen sent him news of their daughter Louise and also of his family in Black Hall. 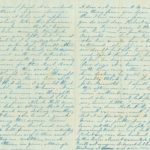 Pointedly remarking that another packet ship captain would soon take his wife on a voyage to London, Helen wrote that she was discouraged about being married to a husband rarely at home and imagined herself a girl again. She also asked Robert to bring from New York window soap and lamp candles. 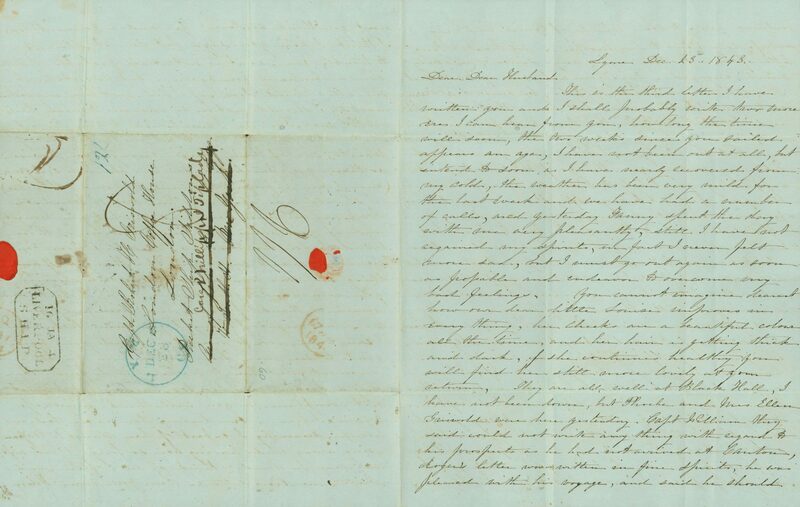 Robert wrote to Helen on December 10, 1843, saying his ship would sail the next day. Helen’s sister-in-law Phoebe Ely Griswold (1804-1904) married in 1827 Robert’s brother Matthew Griswold (1792-1879) and lived in Black Hall. Capt. William Griswold (1804-1851), Robert’s brother, commanded the N. L. & G. Griswold ship Panama that engaged in the lucrative tea trade with China after the Opium War (1839-1842) opened Chinese ports to foreign merchants. After China’s defeat in the Opium War, the Treaty of Nanking in 1842 opened Canton and other ports to foreign trade. Samuel Russell (1789-1862) from Middletown, who founded in Canton what became the largest and most prosperous American trading firm in China, began his career at the Griswold family firm Hull & Griswold in New York. The Canton firm Russell & Co., with whom Robert’s brother Capt. William F. Griswold (1804-1851) traded, dealt in tea, silks, porcelain and, to a lesser degree, opium. The ship Northumberland, Robert’s next command, launched in 1844. Capt. George W. Howe commanded the packet ship Emerald for the Havre-Whitlock line. The Emerald sailed from Havre on April 19, 1844, and arrived in New York on May 30. This is likely the voyage on which his wife accompanied him.